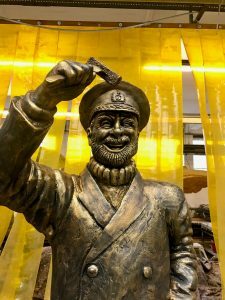 To mark 50 years of their iconic fisherman Birdseye and Mischief PR commissioned a statue to use in promotional activity. 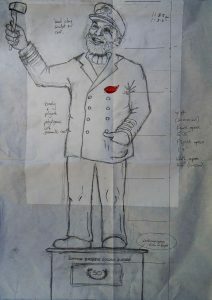 From initial working sketches and reference photos of handy crew members a plan for Captain Birdseye’s anniversary statue came together. 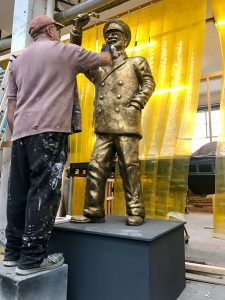 Using clay, polystyrene, steel armature and jesmonite the figure was moulded and then hand finished. 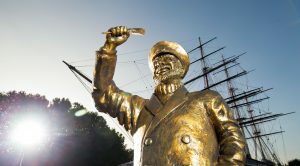 He was mounted on a timber plinth and the final painting could begin. 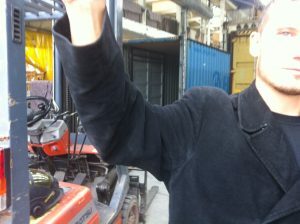 He seemed pretty happy about his latest incarnation. 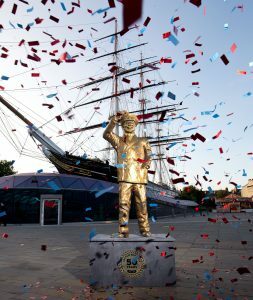 Then everything was set for the short trip to the Cutty Sark and his adoring public.